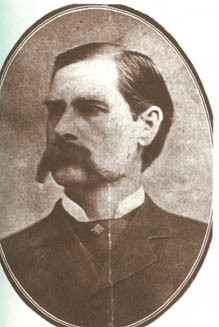 Born Wyatt Berry Strapp Earp on March 19, 1848 in Monmouth, Illinois. Perhaps, the west's most celebrated lawman even though only six of his 80 years were spent in that capacity. He stood over six feet tall and was blond and blue-eyed. An impeccable dresser, he was known to never have left his house without coat and tie.